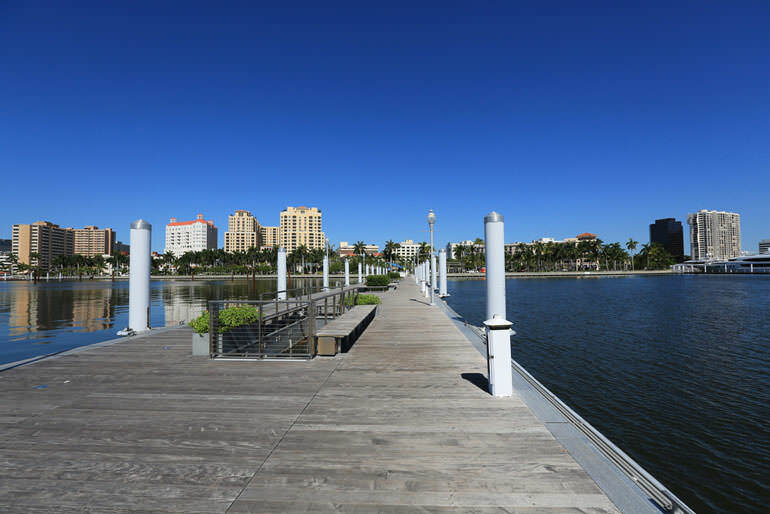 West Palm Beach, quite like Naples which we covered earlier, is famed for its large number of extremely wealthy residents and regular visitors who spend winter months there. It is also the largest place on our list, with almost 100,000 residents according to the latest Census. This city is also the oldest municipality in southern Florida, predating Miami and other places. For many people, however, West Palm Beach is the perfect picture of new Florida – with its money, business and modernity. The city boasts a rich and varied architecture which reflects the first real estate boom in Florida’s history. These areas stand in contrast to the more contemporary business district in downtown West Palm Beach. Of course, tourism is another huge player in the city, with wealthy internationals and Americans from other parts of the country owning winter homes here. The entertainment part of the town is dominated by the CityPlace, one of the most lavish modern shopping areas in Florida. Fine dining and shopping are also a big part of the area’s appeal.